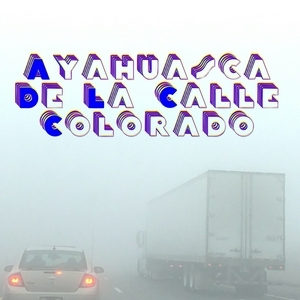 An episode of Ayahuasca De La Calle Colorado! Hi there! Welcome to the online army of Ayahuasca De La Calle Colorado! This show is the motive for a movement to beautify our environment and celebrate creative culture in Colorado. We are the inclusive, welcoming and cohesive Community of beings that we all have conceived. A Positive, Life Loving, Fountain of Effervescent joy bubbles. 📜Free sonic bulletin board for Art events/openings. Send us event/news to mark@markstenger.com or leave us a voice message on the anchor app. We will read and spread your art’s love. Episode Five is All About How To Stay Inclusive. With Special Guest Jody Smitty. So the streets is watching the arts is watching the people is watching th3 Po Po is blunders wearing blinders. 2018 is over Folks. Kaput. What can we do to beautify 2019 on the last day of 2018? Dare We Hope For Something Better? R@mon y Mark think Esperanza has become a weapon uniquely designed to combat gun violence. All this plus Greg Iteen drops in to chat and we hear his song ‘Consume’. 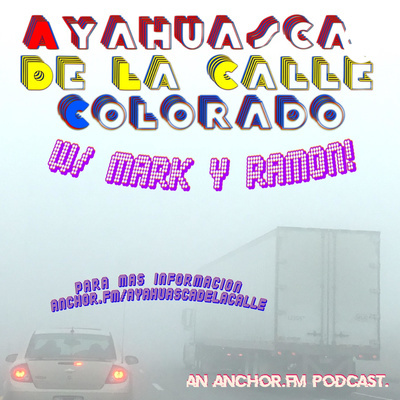 A very special episode of ¡Ayahuasca De La Calle Colorado! Our 3rd Show Has A Place In Space! Plus Huggs! A Very Special Friend Sits In. This episode was Recorded live at Be On Key Psychedelic Ripple located at 1700 Logan St. in Denver Colorado. Live Musical performance by Royal Jelly was recorded on same date 12/10/2018. 1st Things Thirst: Ayahuasca De La Calle Colorado.